Happy Hump Day! Of the National Engineers Week! We know it’s been awhile since our last post but have been so busy preparing for our upcoming event for Introduce a Girl to Engineering Day #SPARKSTEM @nationalstemsociety we host on Monday of the annual National Engineering Week. We had a successful showcase of STEM at Ciena Corporation for 30 students to educate, initiate and innovate young minds of tomorrow. We are so thankful to our father in heaven to give us the strength necessary to pull off our 28th hosted SPARK STEM Day in corporate America. We, Professional Women in STEM Network of 800+ women share our Network with our youth to give them the opportunity to be introduced to education, careers and fields in Science, Technology, Engineering and Mathematics to peek their young interest in continued education best practices to succeed in the robust world of STEM. Women, we only makeup 22% of the global STEM careers and fields don’t you think it’s time we level the playing field. Let’s do this with the @nationalstemsociety collaboration with @pinkleaderboard to impact the world of STEM education, careers and fields! All the best on this beautiful Wednesday. God bless and God speed. Why Women of Color Are Missing in STEM? According to a recent census report, only 24% of women in the workforce make their living in STEM careers. That number is astounding. But if you’re looking for your jaw to hit the floor, stir racial demographics into the scenario. When it comes to economic sustainability, STEM fields open the pathway. The more advanced degree is, the higher income it generates. So why are we relegating black and brown girls to lesser paying careers? In 2012, white women earned 6,777 PhDs in STEM fields. On the other hand, white men earned 8,478 PhD degrees. For African American women, that number dwindles to 684—10 times fewer scientific doctorates than their white counterparts. With only 3.5% of STEM bachelor degrees, Latina women face an even larger obstacle. STEM fields show an absence of women in color, which leaves us with two questions that need to be answered. Why are black and brown girls underrepresented in science, technology, engineering and math? What can we do to bridge this inequity? The short answer: the problem starts in childhood. We need to encourage girls NOW so that they grow into smart, capable, and driven women who take their rightful place in the world of science, technology, engineering, and math. Student Volunteers and Interns wanted in the SPARK S.T.E.M Ambassadors Club. Become a member today! Click here to signup for SPARK S.T.E.M services, program, and events near you. All membership fees support the Tiny SPARK Mobile Science and Technology Classroom development, deployment and maintenance project. The teachers corner is a service offered to teachers who need support, tools or resources as supplies and funding is available for quarterly submissions. In honor of Mrs. Cathy Myers and Mrs. Charlotte DeMott, two inspiring and empowering retired teachers from Central High School. 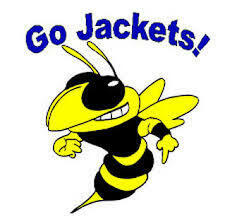 Go Jackets!!! For teacher support click the chalkboard above or click here to learn more about the Teachers Corner offered by the Professional Women in STEM Network (PWS) the governing body of the National STEM Society, SPARK S.T.E.M brand. Join the PWS Network today to show support and have a voice for teachers inspiring, empowering, and motivating students across the nation. Are you passionate about STEM education and research in underrepresented communities and introduction to underserved students across cultures. Become a Professional Women in STEM Network (PWS) member today. Complete the contact form, visit us on Facebook or email us at sparkstem@nationalstemsociety.org to become a member. A grassroots nonprofit since 2015, is a leader in Science, Technology, Engineering, and Mathematics (STEM) Education & Research. When we opened our doors more than 3 years ago, we had a staff of 3 and Professional Women in STEM Network of 105 members. In 2018, we have 9 employees, 3 contractors, with more than 800+ members in our Professional Women in STEM Network worldwide. The National STEM Society is a dynamic nonprofit known for its casual, team-oriented work environment and SPARK S.T.E.M programs. We provide opportunities for growth and advancement in STEM research, education, fields, and careers. In addition, the National STEM Society offers STEM educational tiny SPARK grants and youth upward bound scholarships and reimbursements. To foster an inclusive approach to level the playing field through executing core values of integrity, education, equality, respect, and people focus in underserved communities with underrepresented youth to cultivate their interest in education, careers, and fields of Science, Technology, Engineering and Mathematics (STEM). 2015 National STEM Society, Inc. SPARK S.T.E.M brand. All rights reserved.